The new overall layout of the main house surroundings from the pool and the hunting lodge gives the place a feeling of unity between the interiors and the exteriors. Nestled at the bottom of a small Parisian impasse is now an urban garden of 35 sq. meter with an exotic atmosphere. A particular attention to detail is provided to create intimacy and lush. The Agency imagines a contemporary garden in harmony with the building that will house sculptures and water elements. 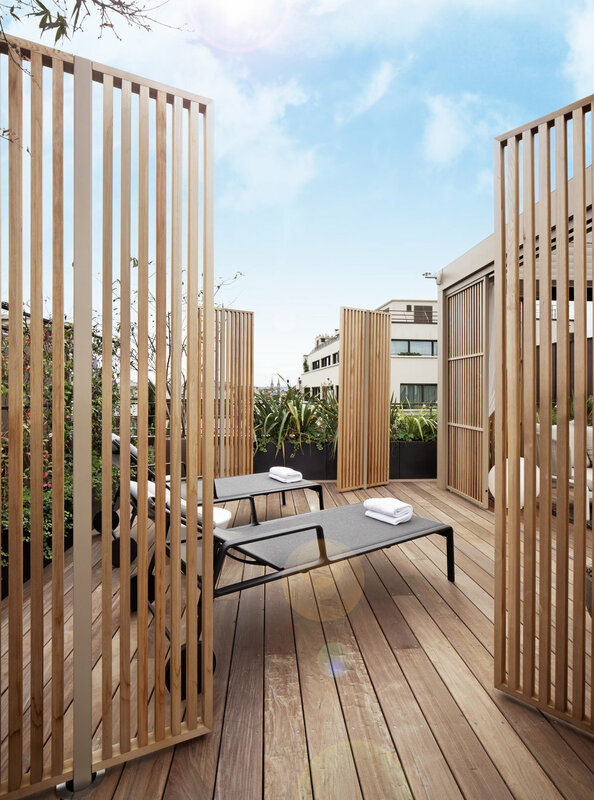 On the occasion of the redevelopment of the Penthouse Suite, the Agency Christophe Gautrand & Associates imagines a terrace with an oriental-Parisian atmosphere. Enjoying an exceptional view of the capital monuments, the terrace of the Royal Oriental Suite presents a mix of Eastern and Parisian codes. Located in the heart of an exceptional site this former farm, family property, finds a sense and uses which sustainably fall within its geographical and landscape context. The Agency Christophe Gautrand & Associates proposes a reading grid of the site on different scales to offer a coherent project between the various spaces. The Zen garden created by the Agency Christophe Gautrand & Associates is a composition, a setting, a landscape that should simply be contemplated to free oneself from everyday life. In an idyllic setting and located on the seafront on a rocky escarpment, the villa of a private client is lined with various terraces leading to the seaside.